If you saw Ronda Rousey’s weigh-in, you know Holly Holm pushed the ultimate button. A sucker punch to the face was the last booster Ronda needed. But, did it make Rousey lose focus? Dana White tweeted when Ronda arrived to the stadium, appearing more focused than ever. Quickly building up to the fight, she and #UFC193 had become the top trending topic across the board. As you can expect, it’s that much greater since the fight is over. However, she’s claimed her first loss against Holly Holm. Men’s UFC wasn’t the focus or most-anticipated fight, in fact, it was women’s MMA as the headliner. Can you remember when Dana White mentioned that he couldn’t see women in this profession? Now, he’s a full supporter. Although Ronda had to be pulled away by UFC president Dana White, it was clear that she was affected by what Holly did, according to 11 Alive News – Atlanta. While Holm appeared calm, from the looks of her bout with Rousey, she clearly turned her nerves into confidence. Ronda took to her Instagram and posted a clip of the video, added her thoughts in the commentary, as follows. As you know, Ronda Rousey has surpassed being called a “women’s MMA fighter,” and is coined as one of the best fighters in the world. But everyone slept on Holly Holm, as it seems. Concerning match-ups, the Los Angeles Times reported that Ronda excelled Holly with a 63 percent strike accuracy, as opposed to Holm’s 28 percent. Since Holly said that her foundation is boxing and kickboxing, a higher percentage would’ve been more favorable. Finally, Rousey’s submission percentage was 75 percent while Holm’s was zero. Well, Rousey’s submissions didn’t work on Holm during their bout, and Holly’s 67 percent knockout rate just went up. According to Rousey, she is the best in the world. She has mentioned it time and time again, and again recently during a documentary from UFC Embedded. While she’s known for her crippling armbars and takedowns, when asked if she could defeat Holm without using her submissions, Rousey mentioned that she could beat any female in her league with one arm tied behind her back. Holly didn’t feel the same about it though. Trove reportedly quoted Holm mentioning that she believed she could win, which makes sense. It appears that Holm’s sucker punch to Ronda Rousey’s face broke her concentration. While Holm’s confidence soared high, Rousey’s body dropped low, as can be seen from the fight. Given her take-all demeanor, Ronda is still something like an MMA “terminator.” Well, at least, that’s what Arnold Schwarzenegger mentioned in the documentary. According to the Terminator, himself, Rousey fights relentlessly. Arnold mentioned that she feels no mercy, pain or remorse, and she shows no pity. Ronda Rousey fought past the first round once…just to see what it was like. Then she won her next 4 fights in a combined 2:10. Tonight’s fight showed that there is always someone that can match your skill level, even when you’re proclaimed as the greatest. You never know what the underdog has in store. However, maybe there’s a reason for that. During a Ronda Rousey interview — as mentioned from UFC Embedded — she stated that she doesn’t get ready. She stays ready. The only times when she’s not in the gym is when she’s fulfilling endorsement and movie commitments. Rousey’s record is now 12-1. Speaking of which, you have to realize that Ronda is a very busy woman. While having relinquished her undefeated title, she still finds the time to conduct interviews, appear in movies, learn roles, write a book (Rousey), endorse games, etc. Had she focused totally on the fight, do you think she would’ve fought better? Or was she totally unprepared for what Holly brought? She’s even made it to EA Sports. 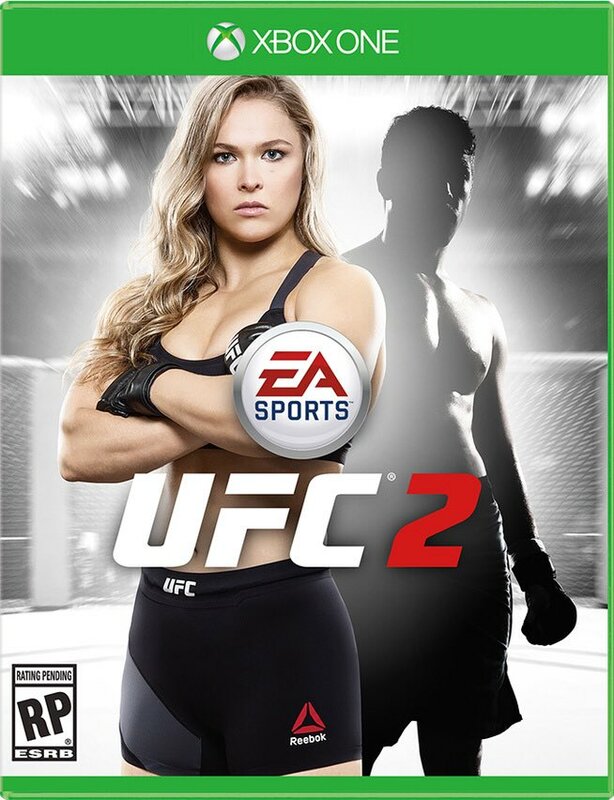 Ronda Rousey made the cover of EA Sports’ ‘UFC 2’ video game. [Image via Twitter]Did you think Ronda Rousey was set to lose tonight? Did you make any bets? If so, feel free to share your experiences in the comments.